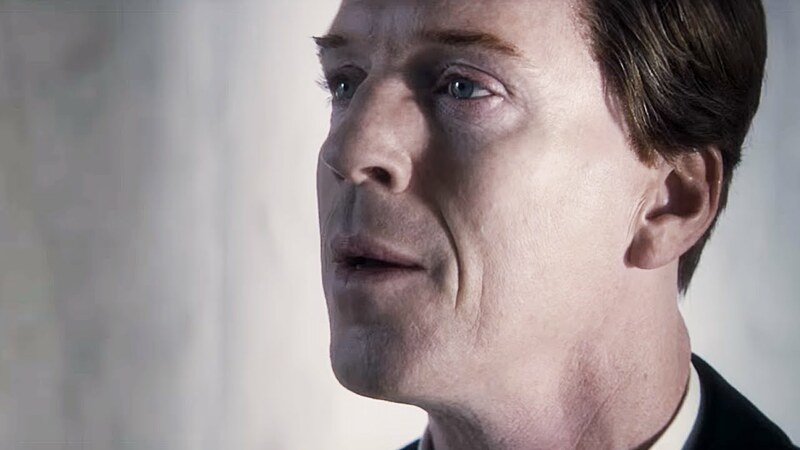 I wrote about Norman Harris, probably the most romantic Damian Lewis character, two weeks ago here. And as I was thinking about kind and caring Norman, I was also thinking about Damian’s versatility that he does not have a “screen persona” and he can play any character that comes his way. 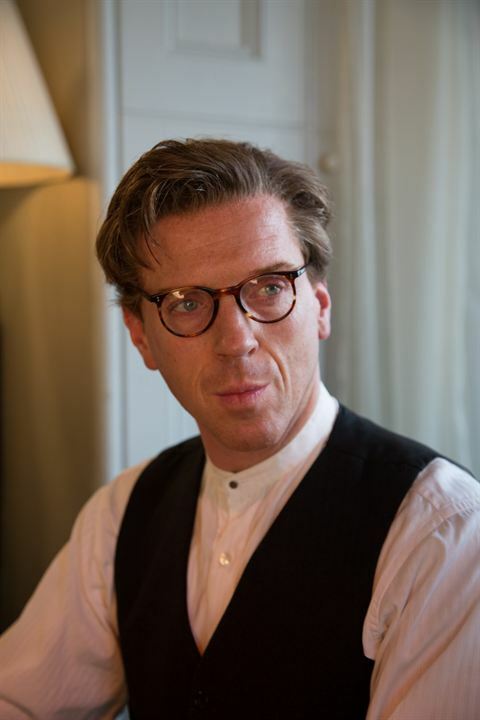 And I asked myself a question: What Damian Lewis character is the anti-thesis of Norman Harris? Well, the answer came to me in the form of the stern Presbyterian minister Balor McNeil. Have you seen The Silent Storm yet? The Silent Storm is slow. It is heavy. It is intense. And, lucky me, that is exactly how I like my movies. So the movie, with powerful performances by two seasoned actors (Damian Lewis and Andrea Riseborough) and a brilliant new comer (Ross Anderson) coupled with the stunning island scenery and psalms sung a capella speaks to me just right. And here is my take on the movie, without any major spoilers, studying Damian’s character more than anything else. It is late 1940s or early 1950s. Balor McNeil (Lewis) is a stern Presbyterian minister living on an unnamed Scottish island with his spirited wife, Aislin (Riseborough). The movie opens with a devastating blow to the couple. Balor is sitting in front of a fireplace, praying, with their wedding picture in hand, as Aislin is giving birth in the bedroom. We then see a little grave under a tree in their yard and complete silence in the house. The McNeils were probably not the epitome of marital bliss earlier but now they are obviously avoiding each other. They do not talk. They do not smile. They sleep in separate bedrooms. Trying to cope in their own ways. This severe shock is not the only thing causing distress for Balor. The main source of employment on the island is mining, and now that the mine is getting shut down, the population is leaving to work at the factories on mainland. Balor is at the brink of losing everything he has found meaning in: His church. His congregation. His life. Early in the movie, Mrs. McKinnon, a depressed woman from his congregation, visits Balor. Her husband has changed since they got the news about the mine closing. He is constantly drinking and talking about the old days. He is turning violent and and scaring off their sons. And this is exactly what Balor expects from Aislin. She must support him. She must fear him. She must obey him. And when she does not, Balor calls her “useless” and “ungrateful.” “You will rot in the belly of hell” he roars. If only he stopped there. He turns violent with Aislin. Balor finds God in obedience, structure and respect while Aislin finds God in the nature. There cannot be a worse match in marriage while there cannot be a better match in casting. Damian Lewis and Andrea Riseborough are powerful together. But you cannot help ask WHY this spirited, independent-minded woman has stayed with this man. It is not romantic love. But she has feelings for him. It is subtle but it is there. Is it gratitude? Familiarity? Is it some kind of Stockholm syndrome where strong emotional ties develop in a relationship where one side periodically beats, abuses, or intimidates the other? Or is it compassion for this self-repressed man who is, after all, a victim of his own rigidity? He does not know whom to turn but God. And when he cannot find solace in prayer, he turns to alcohol. Aislin’s observation about the island life that “men are miserable alcoholics and the cruel women are their slaves” is probably not very far away from the truth. In the middle of this big mess, Balor and Aislin find an unexpected guest on their doorstep: Fionn (Ross Anderson) is a young “offender” brought to them as part of a project Balor signed up earlier with Glasgow Rehabilitation Mission. As Aislin shows Fionn his room, Mr. Smith gives Balor “the full picture of the lad.” We do not hear much other than some man who Fionn apparently beat “black and blue” for his “pocket watch” insisted he would have a chance of rehabilitation through the church, and that he is yet another “lustful” and “devious” city child. Balor putting his new found slave to work (“The greater the sinner, the harder the work”) and confiscating his poetry books (“This scum fuels your dirty, city mind into acting out its devious desires”) is a manifestation of his fear and anxiety towards “the other” (mainland and city people) and “the unknown” (modern life) and we see it peak in his final sermon. The minister believes Mr. Dalgleish — the guy who is shutting down the mines and employing the island population at mainland factories — and his mainland folk will do everything to pull their family apart. He references Matthew 7:6: “His filthy swine will gather ‘round you. Cast your pearls carefully.” Do not give what is holy to those who will not appreciate it. As his world is shattering all around him, Balor prays and drinks, he prays and drinks a bit more, and finally hears God speak to him and give him a task of a lifetime: Balor will now dismantle his entire church and take the parts to the mainland on a boat. One may find Balor taking this trip on his own and leaving the two young people together on the island unconvincing. I would argue Balor genuinely believes it when he says to Fionn “this is the greatest test the God has set for me” and to Aislin, who suggests he take Fionn with him, “why would I want a lad when the task calls for a man? One man.” It is HIS test. And his absolute belief in the test reveals itself in the utmost care and dedication with which he dismantles the church. I do not know if it has been deliberately done but Balor carrying church parts on the beach brings to mind nothing but Jesus carrying the cross. Balor’s absence gives two young, abused and neglected souls a chance to bond over some Yeats. These should be the most beautiful words Aislin hears in years. 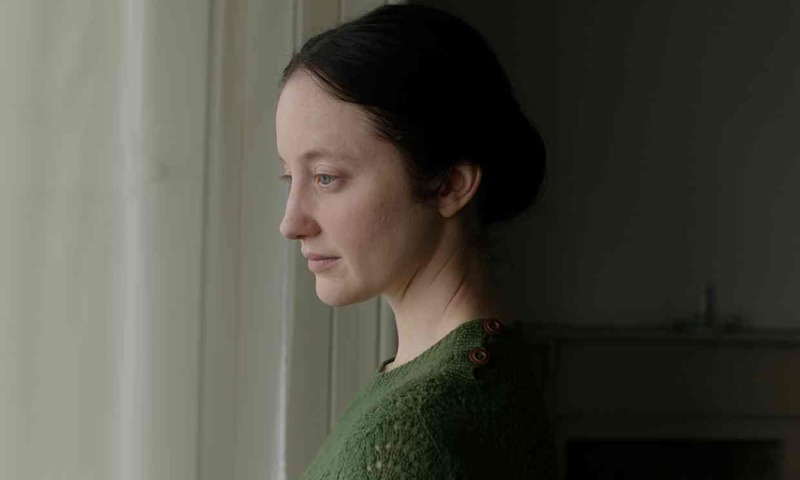 Andrea Riseborough kills it with her understated elegant performance here. It is her eyes talking more than her lips. The Silent Storm makes a poetic play with the scenery that the foggy and stormy weather leaves with Balor and the sunny skies appear for Aislin and Fionn. She lets her hair down. He gets flirty. They reveal secrets. And, the Isle of Mull, with its sublime beauty, shines like a star than just a stunning backdrop in the movie. Gloomy skies come back with Balor’s not-so-happy return. His eyes are crazier than ever and time is ripe for the ever brewing storm within this very man to make its landfall. The Silent Storm is worth seeing, if not for anything else, for another living proof that there is no end to Damian Lewis’ versatility. You understand right away why Damian was the production’s top choice for Balor. The movie needs a silent but intense performance that would make the viewer feel Balor’s inner storm: Damian’s turf! He delivers seamlessly this old school, self-repressed, suffering man who seems to be losing his sanity under a lot of pressure. It is not a matter of if that he will explode but when. You cannot bring yourself to like him but you understand where he is coming from and feel his pain. There is a scene towards the end of the movie where Damian is absolutely at the top of his acting powers. Balor does something wrong, VERY wrong, and you can absolutely feel he deeply hates himself just after doing it. And you do not even see his face. It is just the way he moves and you know. Hollywood News describes The Silent Storm as “the kind of beautiful, intoxicating film that gets under your skin and makes you glad to be on the planet, full of character, charm and intrigue.” And I hope you let the movie get under your skin and let us know what you think! The Silent Storm is available for streaming on Amazon and iTunes and as a DVD on Netflix. Hi Monique, it seems amazon.fr has the movie. Please go to this link. merçi,tu es formidable,tu as réponse a tout!!!! After reading your post, I decided it was time to watch The Silent Storm. It’s been sitting in my watch list on Amazon Prime for a long time. It was just as you described it: slow, heavy, intense but it was never boring. The acting was amazing and the scenery beautiful. In the end while I truly disliked the actions of Balor, it was through the wonderful portrayal by DL that I found my heart aching for this poor man who has lost everything. This movie has stayed with me and I thank you for your excellent review. Nancy, thank you so much for your kind words! I am so glad you decided to watch the movie after reading my post – I am flattered! It is sad that such movies never make to big multiplexes and The Silent Storm did not even make it to independent movie theaters in the US. But I love it that Damian mainly chooses to be in independent, small budget movies. I hope to see him more in this kind of movie – for selfish reasons – than in big box office movies. I think that is why I am SO TORN about him playing 007 (even though I think it will not happen) — a huge franchise!